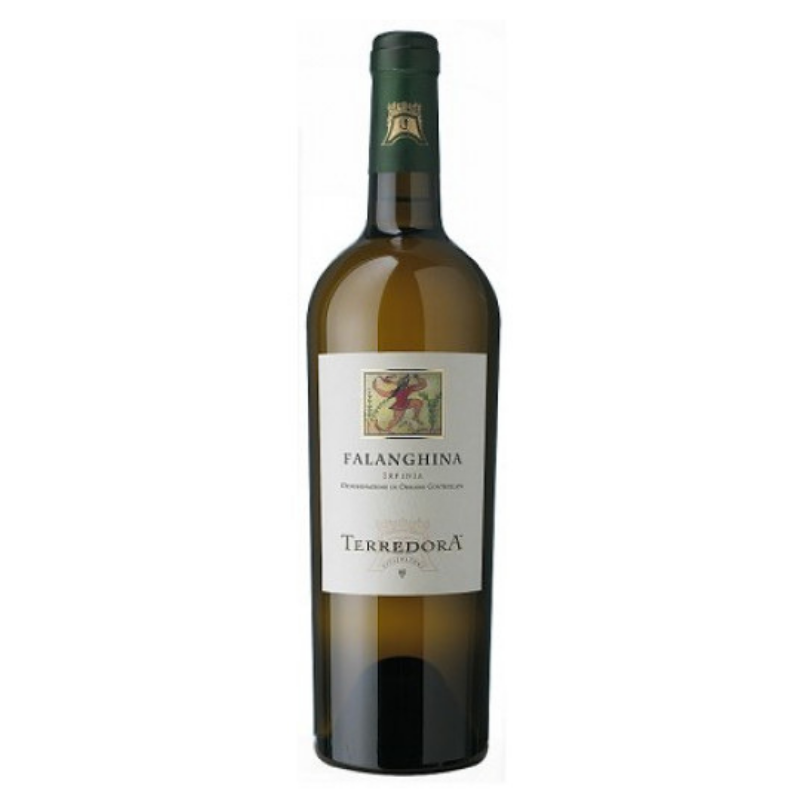 This falanghina by Terradora is a great alternative to chardonnay. Falanghina is thought to be of Greek origin. It has been growing in Italy since the seventh century BC, but fell out of fashion after the Roman era. During the twentieth century, improved production techniques allowed producers to coax out more desirable characteristics of the grape, and its wines became much more nuanced. Interestingly, the ATTB (the government-run Alcohol, Tobacco Tax and Trade Bureau) did not recognize the varietal for use in the US until 2014 (!!). Falanghina is most often found in southern Italy and up the Amalfi Coast and can be used as a blending grape or as a single varietal. It offers interesting and harmonious flavors than can range from having resin-like qualities, to sweet blossom notes, to salty tang. This particular wine is zesty and persistent with citrus, apples and pear underscored by tropical fruit.